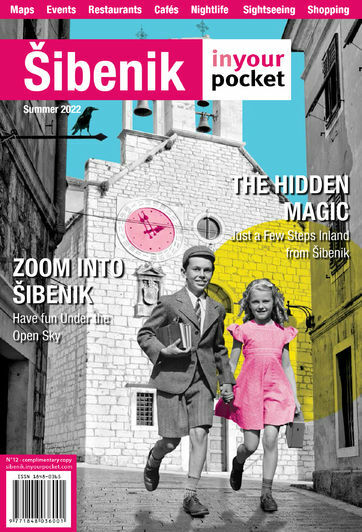 Now that you've arrived and settled, get a brief introduction into some of the expectations and abiding rules one should follow - things that are part of everyday life to Šibenik citizens. From cash currency, tips, smoking laws, national holidays and who to call if something goes wrong. There are no custom limits between EU member states or tax return. For other non-member states we recommend you to follow info at www.porezna-uprava.hr. Raising awareness for the disabled is beginning to take shape and some improvements can be seen, but there is still a loooong way to go. At the moment, all public car parks have parking spots for disabled, most hotels have at least one room adapted for their needs, and shopping centres have suitable access with facilitated toilets, as do new buildings. In saying that, once you head outdoors one can expect problems on the streets, footpaths and access to most buildings. If you’re planning to visit, we suggest you inquire about your destination in relation to these matters and the majority will endeavour to organise and make your arrival as accessible as possible. The electricity supply is 220V, 50hz, so visitors from the United States will need to use a transformer to run electrical appliances. There are plenty of exchange offices around Šibenik, as well as an abundance of ATMs that operate twenty-four hours a day. Many restaurants, bars and cafés accept credit cards, but not all, so be sure to have a reasonable amount of cash on you. If you're planning a trip to one of the islands in the area, you should definitely plan ahead and carry the amount of cash you think you'll need for the trip, as finding places that let you put it on plastic could be a problem. When behind the wheel drivers must always have their driving licence, traffic licence and green card with them. Standard laws apply such as compulsory use of a seat belt and no mobiles except hands-free. Maximum blood alcohol level for drivers over 24 is 0.05 mils. The speed limit in urban areas is 50 km/h unless otherwise marked, 80 km/h on secondary roads and 130 km/h on highways. As they say, leave sooner, drive slower, live longer. Bearing in mind that Croatia is very much a pavement-café culture in which people tend to socialise outdoors, it does mean that outdoor tables at eating and drinking establishments are more packed than usual. Recent law amendments give cafes the choice in opting for smoking permits or not, yet it is forbidden in all other enclosed public spaces including restaurants where it has never been easy to find a spare seat at even the most popular eateries if you’re prepared to move inside. Generally, Croatian people are not overly concerned about tipping, but seeing how you're a visitor to the country and all, you can practice some small-time diplomacy and throw a bit of goodwill to your server. Croatian people typically round their bill up to the nearest whole number when they want to tip, but leaving 10-15% for the staff's efforts seems like a classy thing for a visitor to do, doesn't it? There are two public toilets in Šibenik. One is by the theatre, it’s open all year round 07:00 – 21:00, costs 5kn, and is a bit ancient but decent enough. The other is by St James’ Cathedral, it’s open only during the summer months, again 07:00 – 21:00, price 5kn. Croatian Visa Policies is fully compliant with European Union Visa Policy and Standards. So what does that exactly mean? All citizens of states that require visas to enter other EU member countries also need a visa to enter Croatia. Therefore, before visiting Croatia, be sure to visit the Croatian Embassy in your respective country of origin. In addition, if you are flying to Dubrovnik and wish to visit other cities throughout Croatia, we recommend you obtain a visa for multiple entries because of the border crossing through Bosnia and Herzegovina. If you cross the border without the aforementioned visa, you will not be able to enter Croatia. Tap water is absolutely safe for drinking. Crime figures rank Croatia and the city of Šibenik significantly lower than most of Europe. Nevertheless, you should keep your eyes on your belongings at all time. In case of an emergency, Croatia has implemented Europe’s wide Emergency Number (+385) 112 which then transfers you to police, ER or the fire department. Depending on the city district, in case you were involved in an accident or were arrested, you will be taken to the nearest police station. In that case, contact your embassy or consulate. The main building for ER is located in General Hospital in Stjepana Radića 83 (L- 3) where everything necessary will be done. In case of an car accident call HAK road help 24/7 (+385) 1987, and as for accidents on the sea call (+385)195.